The School of Cinematic Arts houses a diverse body of students, each offering a unique background and point of view that they in turn bring to their work. For Ethiopian Tadious Odissu, his international upbringing would play a significant role in the stories he wanted to tell as a filmmaker. 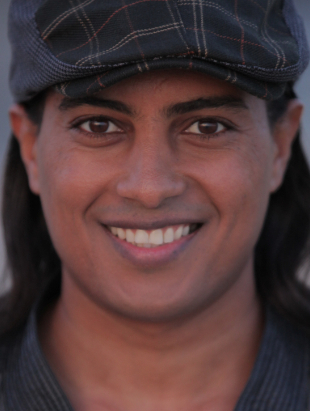 Recently, MFA Production graduate Tadious Odissu sat down with SCA to discuss his film, What to Bring to America, his experiences as a refugee from Ethiopia to his journey to SCA and how passion is the driving force behind getting a filmmaker’s story told. Let’s start with your name and graduation year. My name is Tadious Odissu; I graduated in 2012. Tell me about your new film. My new film is called What to Bring to America. 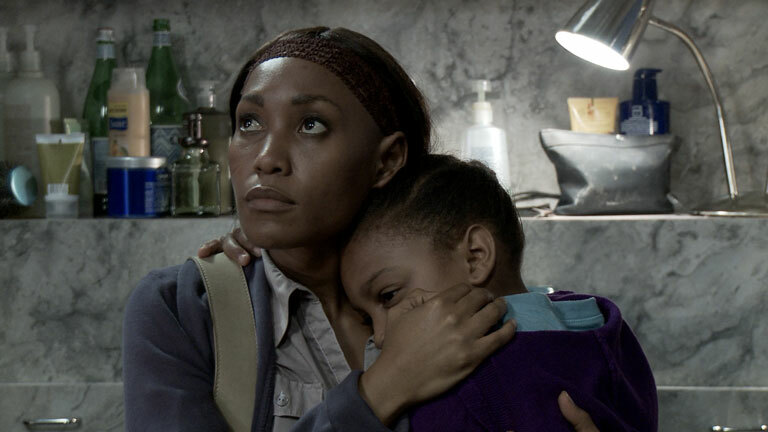 It’s a feature-length narrative film about a six-year-old Ethiopian American girl, Mima Lema, who is at risk of facing female genital mutilation [FGM] in Los Angeles when her grandmother arrives from Ethiopia. The film explores cultural conflicts within the context of an interracial marriage, and the story is based on a short film which I wrote back in 2010. The short film was produced at USC, and has won various awards at festivals around the world. Which festivals? Quite a few. The short’s been screened at over 15 film festivals, and we won the DIVAU award at the Social World Film Festival, the Special Mention at the Monaco Charity Film Festival and Outstanding 1st Time Director at the DC Shorts Film Festival. The script also made it to the top 10 at the Austin Film Festival. The other great news was, in 2012, NBC Italia bought the rights to show it in Italy. It was broadcast in the summer of 2012. How did that come about? Someone from NBC saw the short at a festival and approached the Office of Student Industry Relations. The transaction was dealt by Sandrine Cassidy from the Student Industry Relations office. What made you want to tackle this subject matter? I've always been aware of FGM as a social practice, and I’ve wanted to approach the subject matter in a feature film since I entered film school at USC. This film has been a huge part of my career as a filmmaker. I have been working on the project continuously over the last four years. During that time, I work-shopped the script in five different writing classes. A short version of the script was selected by the School of Cinematic Arts in 2010, and was made into an excellent short film in the fall of that year within one of the School's advanced production classes. I’ve spent much of my life around Ethiopian women who suffered from FGM but were not allowed to talk about it. Unfortunately, I come from a culture where women are expected to be extremely self-sacrificial, yet are still considered less important than men. As an Ethiopian, I truly believe it is time that the younger generation steps up to help end this backward tradition. In Africa, more than three million girls get mutilated in the name of tradition every year. I want this film to be a voice to those voiceless girls who aren't yet able to speak for themselves. Is there a reason you’re going the DIY route instead of plugging into a studio? I would totally plug into a studio if they would let me [laughs]. After the feature was written, I took it around. I pitched it through several people I knew - primarily through the School. We had a meeting at his office in Hollywood and we had a long conversation. Over an hour and half. I asked him what I needed to do if I needed financing for this film. He was honest. He said, “It’s not easy to get financing for this type of film.” He said it’s more like a personal story, so I should do it on a lower scale. He’s been a great mentor and advisor, and encouraged me to make the film. You’re on Kickstarter, right? Yes. We launched an online fundraising campaign via Kickstarter, with the intent of going into production by the end of this summer. Already, 25% of our $50k goal has been pledged, but we must raise $50k before June 11, 2013, or we won't get any of the funds pledged. Were you an international student? I know you’re from Ethiopia, but you aren’t in our database as an international student. I’m from Ethiopia. Born and raised in Ethiopia and came to the U.S. as a refugee. I didn’t come with a student Visa. Were you already in Los Angeles? Yes. I came to the U.S. about a year and half before I got accepted at USC to do my undergraduate studies. Before I came here I lived in Turkey as a refugee. Then, I was sponsored by an organization called World Relief, which allowed me to come here in 2004. During my first month in the U.S., I stayed in Wheaton, IL with my host Ryan Smith. Meeting Ryan was a turning point of my life. I was supposed to stay with him for just a few days but we became close friends, and I ended up staying at his house for a month. I said, “No. I want to go to school”. They were just concerned about me coming here by myself, but at last, my host, Ryan Smith, stood by me and said, “You know what, I’ll pay for his ticket.” So he bought me a plane ticket, and I came to Los Angeles. In L.A., I met another great person, through Ryan, called Greg Campbell who later became my mentor. Actually, he’s even more than a mentor. He’s really been like a father for me here, without exaggeration. From day one till now, almost 9 years, he treats me like his son. That gives me lots of confidence, you know? To have someone to turn to. I’ve been through a lot of challenges, but he is always there encouraging me to never give up. I’m very grateful to have people like Greg in my life. I wouldn’t have come this far if it wasn’t for him. I enrolled at Santa Monica Community College for about a year and half while I was working three jobs. It was a great experience, except for my night shift job at a gas station in South Central. That wasn’t so great. Actually, that was a bit of a nightmare. Anyways, after all that I finally got accepted by USC after getting rejected 3 times. I studied theater as an undergrad. And right after graduation I stayed to study film in the graduate program at SCA. Was it hard to transition to the culture at the School of Cinematic Arts? It was a bit hard arriving in the U.S., but everyone at USC was extremely welcoming and friendly. I really found a great community of students and faculty at USC. What should students coming from different cultures look out for when they get here? The moment I came to SCA, it felt like home - even though I was the only Ethiopian in the masters program at SCA. There are people from all over the world. I mean, I felt much more isolated in Turkey than in film school [laughs]. I wasn’t just the only Ethiopian in Turkey, I was the only person who was different in any way. Here, my roommates were vey nice. All of the services from the School were great. Telling stories became my therapy. As a refugee, it helped me leave the past behind. That was a great experience. I didn’t have a hard time. If you came straight from Ethiopia to SCA, that would be harder. It might take a year or so to get used to and make friends. You wrote a 546 and the director was from France, correct? Yes. Christophe Nassif, who’s now back in France. Three of my scripts made it to the 546 finalist three semesters in a row, and What to Bring to America got selected to be produced. Just about every member of the crew was from a different country. It was a wonderful experience. We had people from China. South Africa. France. Canada. Ghana. England. Ukraine. Haiti. Vietnam. Was that planned? No. It just kind of happened. I think people from different cultures were attracted to the story. Specifically, What to Bring to America is about adjusting to life in Los Angeles, so we all had that in common. Also, at its core, the film is really about adjusting to any new location, fitting in and being in a new cultural environment. So I think that attracted people to the project. What is a 546 for those not at the School? 546 is an advanced production class in the graduate film production program at SCA. Anyone in the graduate program can submit their scripts, and after a competitive pitching process, the faculty and student reps select three projects to be produced in 546 class every semester. What would you tell someone just starting out in his or her SCA career? From my experience, I would say, be open to exploring your interests. If you come to SCA just to be a director, for instance, you might discover that you actually want to be an editor. Or a DP. Or a sound designer. Be open to explore in as many fields as you can. It makes you a better filmmaker in general. Be ready to grow. It’s really important to know how to work with other people. And, most importantly, to find your own voice - find a story you’re passionate about telling and do everything you can to tell it.